Make Me Up (still), 2018. 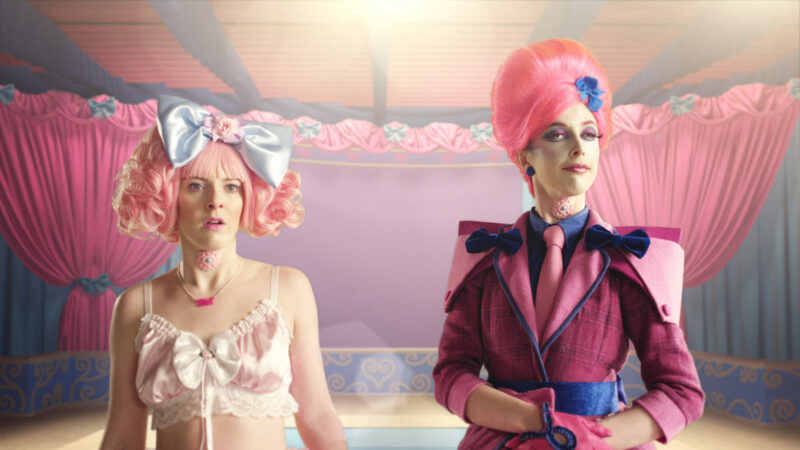 Written, designed, edited and directed by Rachel Maclean (featured) Make Me Up was produced by Hopscotch Films with NVA, Make Me Up is a major commission for the BBC, Creative Scotland and 14–18 NOW: WW1 Centenary Art Commissions, supported by Jerwood Arts, the National Lottery through the Heritage Lottery Fund, and by the Department of Digital, Culture Media and Sport. 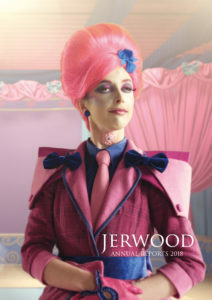 Jerwood Arts is one of a family of not-for-profit organisations united in their commitment to support, nurture and reward excellence and dedication in the arts in the UK. We publish our Annual Reports jointly each Spring.